Good news, today was again a great day! Everything back to normal, if anyone with active cancer treatment, will very have a normal day. Anyway, health-wise, things were good today, no dizziness or stomach issues all day. A little bit of bone pain in my ankles and hips, but not as bad as yesterday and before. Activity-wise, Dean and I had our morning walk today at DOW’s Wetland Preserve. 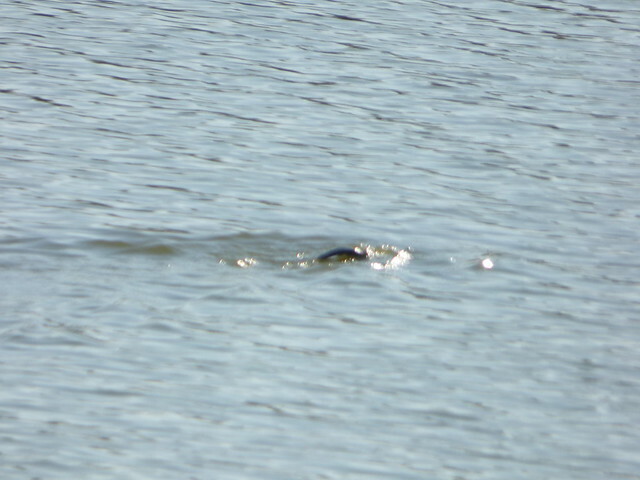 We had very good luck, catching PICTURES of three (3) River Otters! On our what back home we went by the hazardous material waste deposit place to drop of some old paint cans that Dean needed to get rid off. I needed to be back home by 11:00 for our painter, Patrick. He finished off our bathroom cabinet. In addition, he did our front door and garage side door. Since we had no old paint can for the garage side door, Dean got a small paint chip which we took to Lowe’s for matching. Patrick was now able to get it all done. After lunch, I was able to upload today’s photos and do some small housework. Dianne came home just in time when Patrick had finished all paint jobs. Dean at that time asked me if I wanted to go with him to OSH in Concord to get some material for his workbench project. I agreed and the two of us went off for a ride. I found some door knobs for upstairs, but one set for the bathroom door was not available, I, therefore, did not get the other two for the bedrooms since it is a very, very low priority project. By the time we got home, it was dinner time. That is it for today. In short – It was a GREAT day. The day ended with us watching some TV to relax before calling it a day.